Shade sails are a great way to give your patio or pergola shade over an uncovered porch, patio, verandah or balcony and block out harsh direct sunlight. We think of needing shade during the summer months only but cover from the elements is needed almost all year round. 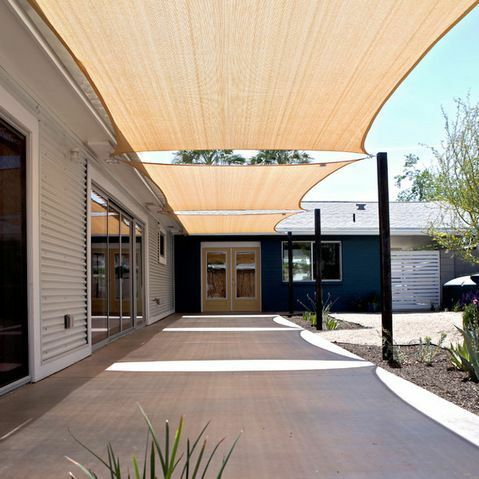 Here are some awning ideas using shade sails in rectangular, square or long thin shapes, as well fixed or sliding styles. There are also videos to help you with your DIY awning. 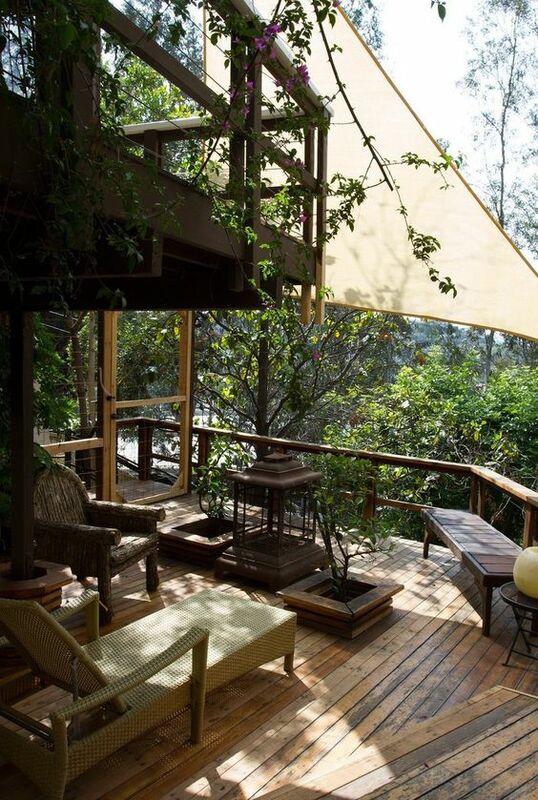 Most shade sails have UV properties that protect you, your decking and outdoor furniture from the elements. 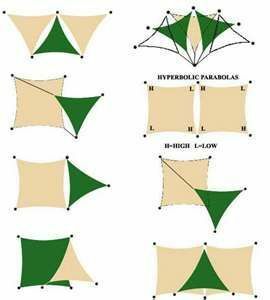 Shade sails come in a variety of color, sizes and shapes, depending on the style of awning you want to create. It is also common for shade sail fabric to be fade resistant and mold resistant. This makes them durable and a good long term solution for your outdoor area. Using a slide, almost curtain idea, you can create your own DIY retractable awning. 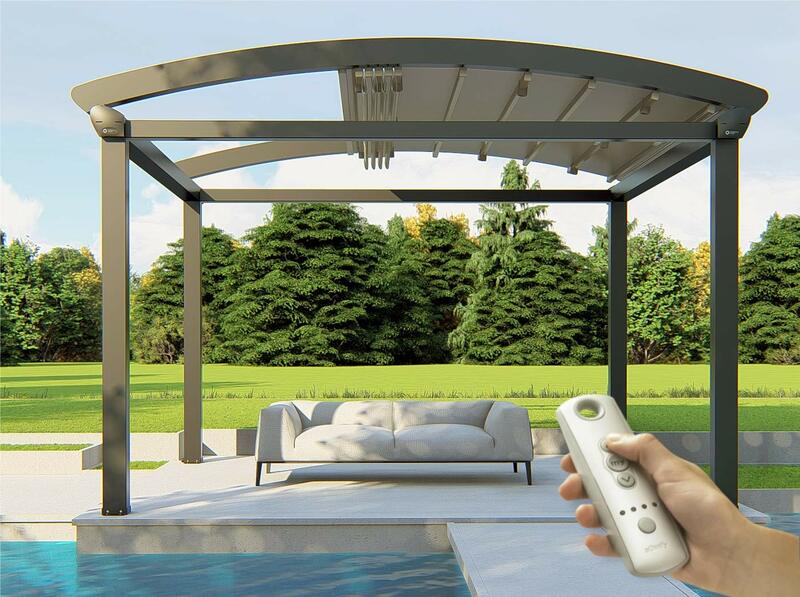 Unless you have an existing pergola or porch frame in place, you control how big you make your shade sail outdoor cover, since the size of your virtual room is dictated by the size and shape of the shade sail you choose. 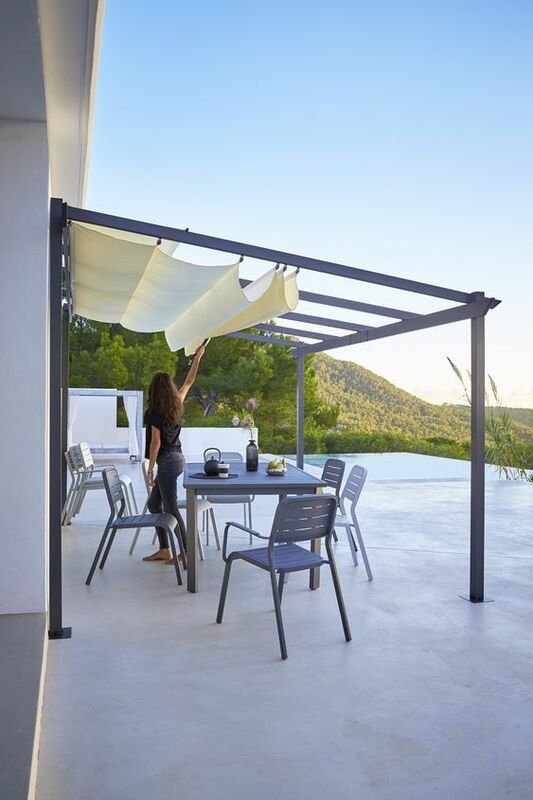 Shade sail fabric comes in long thin lengths, square and triangular sizes and you can use any shape shade sail within the area of your pergola frame. Add outdoor furniture and accessories and it's ready to use. There are some very fancy aluminum motorized awnings with lights for around $10,000. These stand alone solutions are not for everyone. If you prefer a DIY solution, there are a lot of how-to videos to help you with each step as long as you are a little patient and little creative. Both stand alone automated and DIY solutions work and depend on your style and budget. This simple video gives you an idea of how a retractable DIY awning works. The awning may not be modern or the best style for your home, but it gives you an idea of how it works. If you want a wave in your fabric, so it's not pulled tight, add 20-30% to the length of your frame. This gives a softer look and allows the wind to move the fabric softly, so it won't look rigid or tight. Being able to slide the fabric into place makes it flexible on less sunny days, protection from the rain on cloudy days and allows you to see the stars at night. Isn't that a great solution? 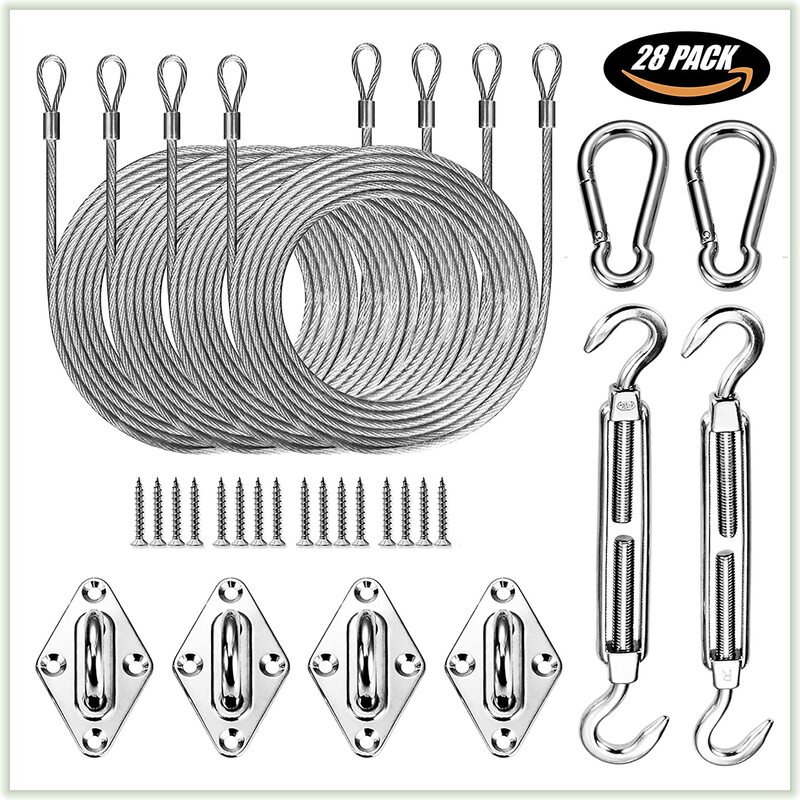 This hardware kit has almost everything you need to create your own sliding awning with shade sail. 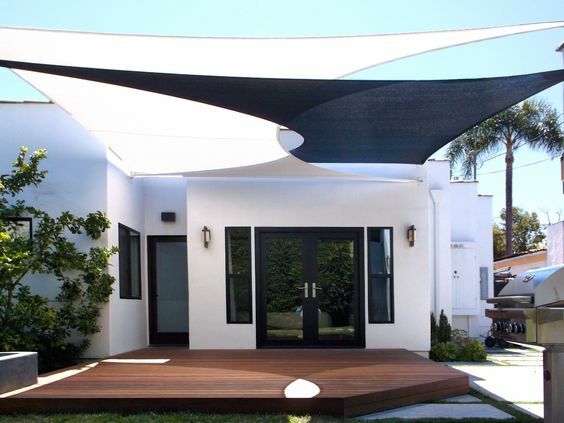 Make sure your shade sail has grommets or your fabric can tear and ruin your awning. Its inexpensive and available at almost any hardware store. 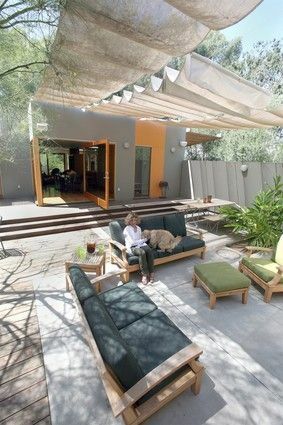 Triangular shaped shade sails are not trending but they are still available if that suits your home, style and purpose. There are a lot of different kit solutions available. To work out what works for your space, work out the size of your space first. Decide on the best shade sail shape for your frame. 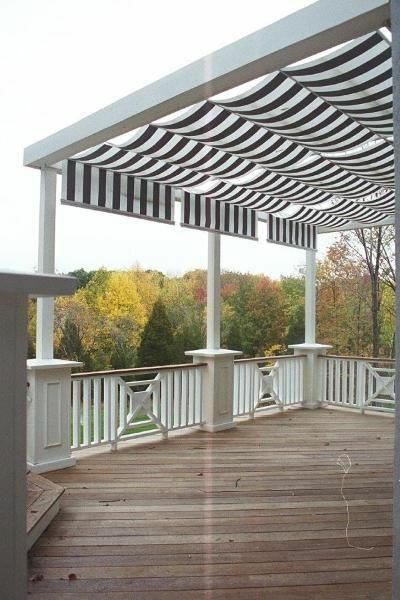 If you don't have a frame, porch or deck already in place, you can still create an awning. 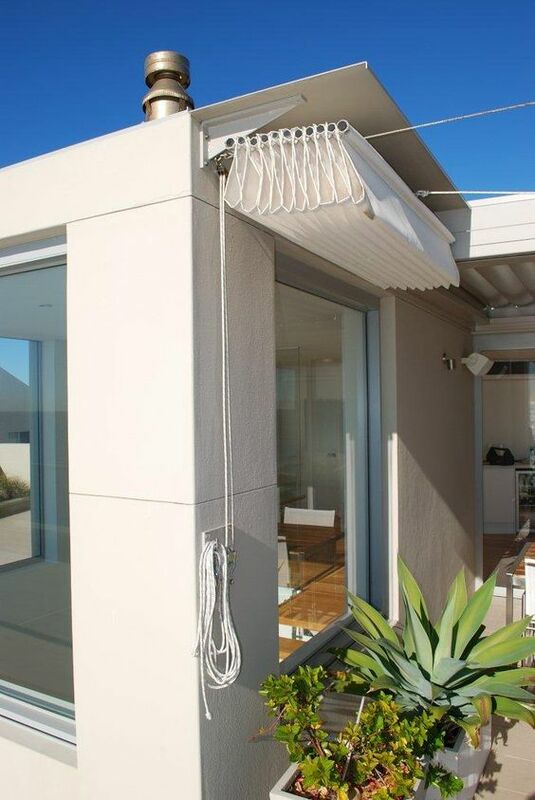 Whether you have a thin balcony or a small thin garden, use part of the house to secure your awning structure. If you have a frame with beams in place, you can skip making your shade cloth into concertina awning. Instead wrap your cloth around the beams like this video shows. Use better quality fabric with UV protection and is fade and mold resistant if you can. Its better for your health and your canopy will last longer. No matter what style you choose, this is a simple way to get an awning in place without any huge expense. They are functional, stylish and don't cost the earth. Such a nice blog and have the valuable information from it. I really love the outdoor sail shades. I love that custom awning. It almost gives a Northern African or Middle Eastern feel to the patio. I've been looking for a shade sail to put over my cement patio. My children play outside during the summer and I don't want their toes to continue to get toasty. 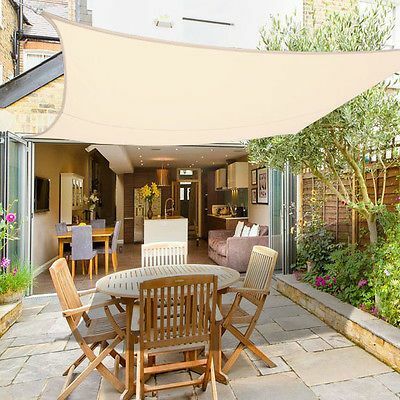 I think fabric can be used to produce stunning stretched shade sail designs that not only look great, but also protect you from both the sun and the rain.thanks for sharing.